The rooms offered by Hotel Thames International have been designed and decorated with a lot of care and effort. The hotel is located in Gariahat. The rooms are well-furnished and have been decorated with a number of wooden elements. All rooms are well-lit and have been decorated with beautiful paintings. The rooms have been painted in monochromatic hues and all rooms have been provided with a false ceiling. The additional facilities provided by the hotel are free Wi-Fi, parking provisions, an uninterrupted power backup supply, card payment in all forms, an elevator facility, and CCTV cameras. The in-house facilities comprise a living room, a seating area, a restaurant, a conference room, a banquet hall, and a common dining room. The front desk service is manned by experienced staff personnel who try to solve all the problems faced by the guests. 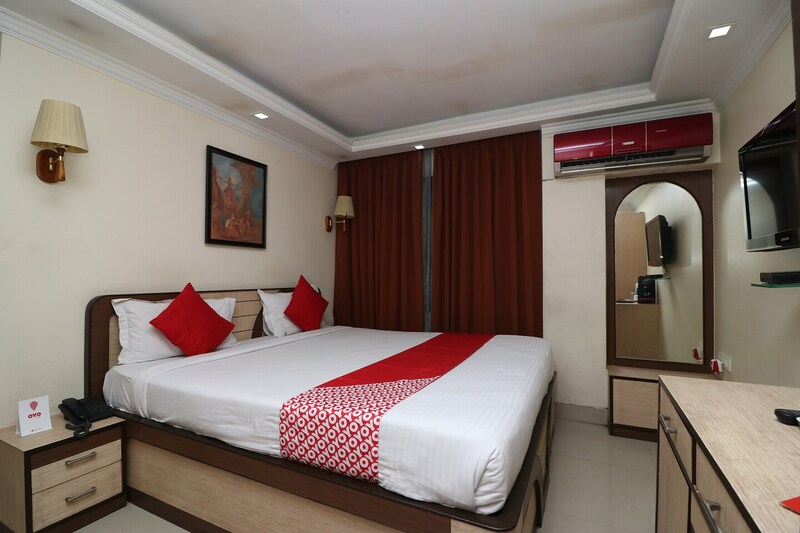 The hotel is close to a number of utilities such as Ekdalia Crossing Bus Stop, Fern Road Bus Stop, Cakes, Sen Mahasaya, Baazar Kolkata, and Forum Courtyard.